Here are a few more shots of that intense rainbow in Kyoto the other day. 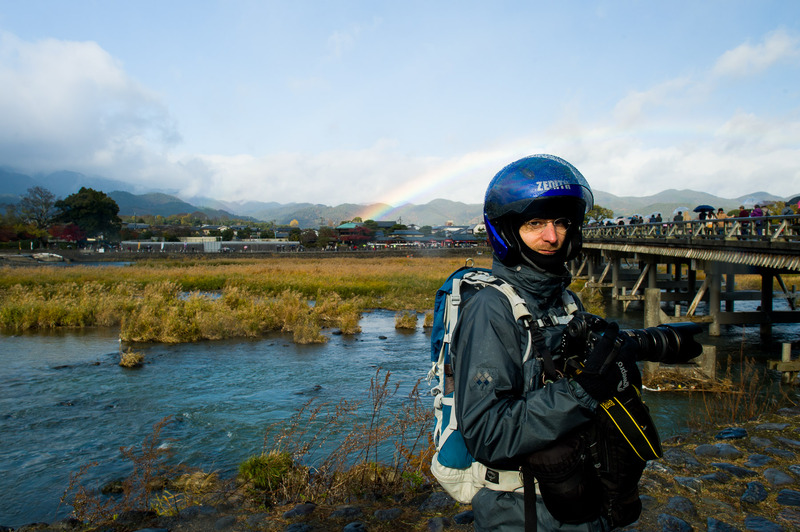 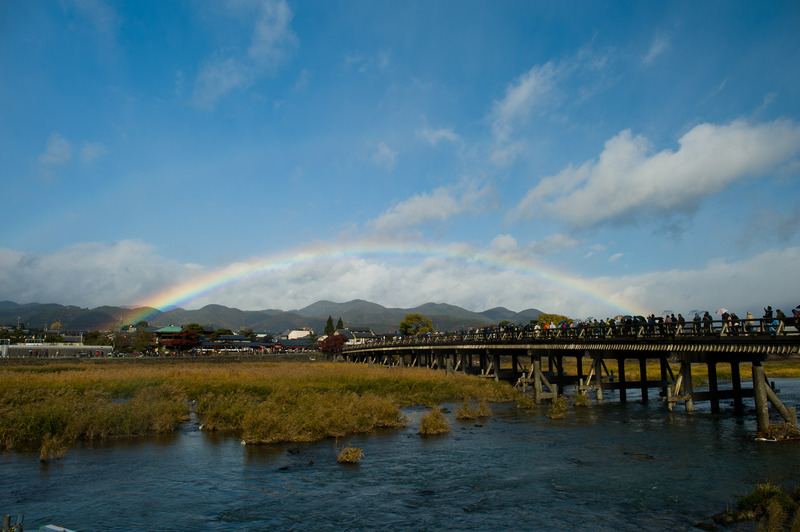 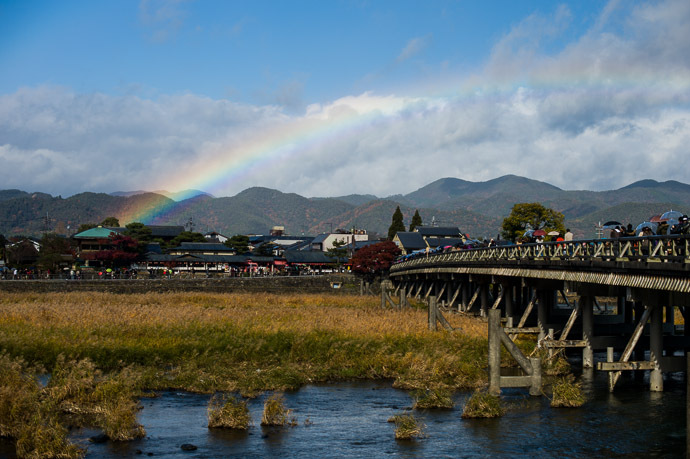 Following Damien Douxchamps' lead, I moved to the other side of the street to get the rainbow crossing over Arashiyama's famous Togetsukyo bridge (渡月橋). 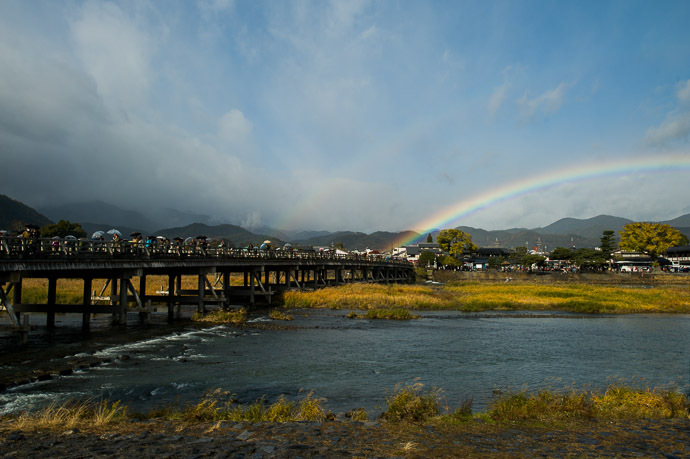 The angle from that side of the bridge also omits the storm clouds seen in the previous post, just off to the left, that are providing the rain swept in on the wind to create the rainbows, so the clear-sky look seems a bit interesting (if perhaps improbable). 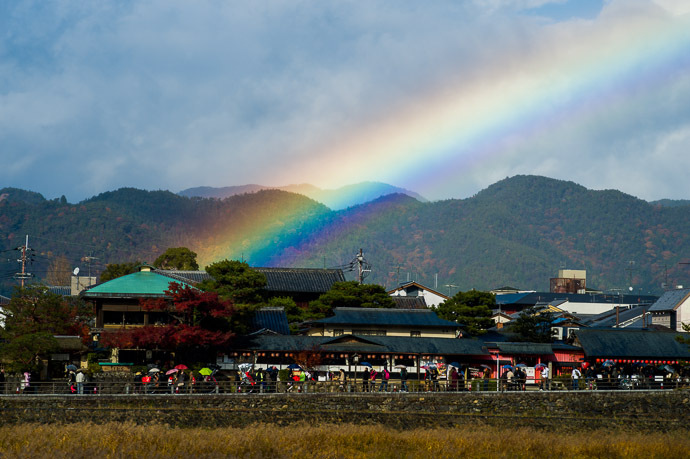 Arashiyama is a lovely area, as the “nearby photos” links under each picture shows, but like I said, stay away on weekends during these seasons. 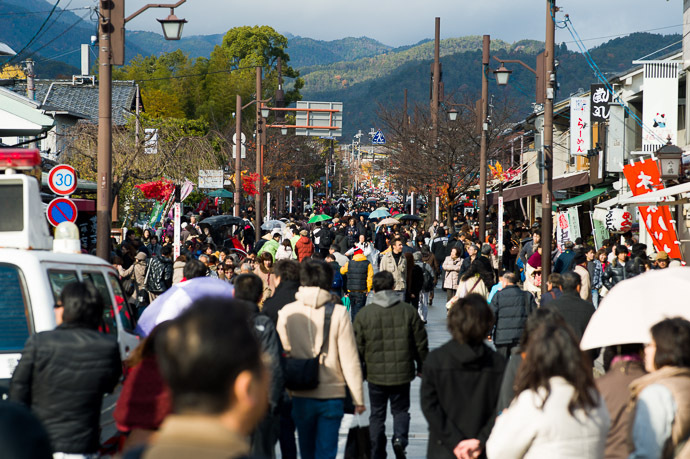 Mmmm… Is it just me or the only legible word on the crowd shot is “ramen”?